Perfectly situated in the pilot-project heaven of Vancouver, BC, Sports Technology Group was created to bring two forces together. Gary Boddington has been immersed in both sports and technology for over 3 decades. More recently he was an early adopter in the world..
of cryptocurrency and blockchain technology and was a pioneering member of Canada’s first publically listed blockchain company. Sports Technology Group bridges the divide between Sports and Technology and is a leader in the transformation of the sports industry. with many teams, leagues, associations, events and artists. 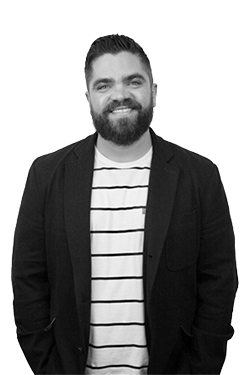 His experience leveraging innovative concepts has given Tyler the ability to create new business units and revenue generating platforms for a wide range of brands. Some of which include; 2010 IIHF World Juniors, Saskatchewan Hockey Association (SHA), Saskatchewan Junior Hockey League (SJHL), Canadian Junior Hockey League (CJHL), American Hockey League (AHL), National Hockey League (NHL), Professional Bull Riding (PBR) Baseball Canada, Major League Soccer (MLS), Canadian Football League (CFL), KISS, John Fogerty, Maroon 5 and Cirque du Soleil. After the successful launch of an AR/VR/360 App in 2017 (BC Lions EXP) that Tyler dreamed of and brought to life with key partners. Tyler received global attention, presented at the World Sports Innovation Summit and quickly realized his true potential for tech in sports and combined his passions to join STG as Chief Revenue Officer. Throughout her journey to the Olympic Games she learned that hard work and passion are a deadly combination. Danielle’s enthusiasm for innovation, creativity and writing guides her in the transforming marketplace. entrepreneurship facility, which has hosted more than 500 startups that have raised over $150 Million in funding. Ray co-founded Victory Square in 2015 and Launch.vc in 2017, two venture build studios with a focus on sports and entertainment technology companies. 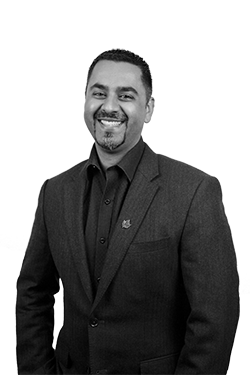 Ray was named Entrepreneur Mentor of the Year for 2014 and 2015, BIV Top Forty Under 40, and was selected to represent Canada at the G20 Young Entrepreneurs Summit. event coordinator and multitasker extraordinaire. Claire is looking forward to being a part of the Vancouver tech scene and will be supporting our our team in doing everything from coordinating travel to market research. to deliver profitable results in business units within the UK, South Africa, Middle East, and Africa. Most recently she managed the Dynamics CRM business for the Microsoft UK team and spearheaded a comprehensive go-to-market strategy, enabling rapid market expansion and growth across all channels and business segments. Gina’s Blockchain journey started when she recently relocated to the US with her family. She is excited about the opportunities Blockchain will bring to citizens, consumers and businesses across the globe. Gina loves spending time with her family chasing her kids down the snowy mountains, and, voluntarily, choses to chase a little white ball around a golf course. Gina represented South Africa in the junior field hockey team and, at times, runs silly long-distance road races! Gina joined the team after spending 15 years working for Microsoft in three countries across the globe. As a MBA graduate, Gina has successfully worked with teams to deliver profitable results in business units within the UK, South Africa, Middle East, and Africa. Most recently she managed the Dynamics CRM business for the Microsoft UK team and spearheaded a comprehensive go-to-market strategy, enabling rapid market expansion and growth across all channels and business segments. Gina’s Blockchain journey started when she recently relocated to the US with her family. She is excited about the opportunities Blockchain will bring to citizens, consumers and businesses across the globe.